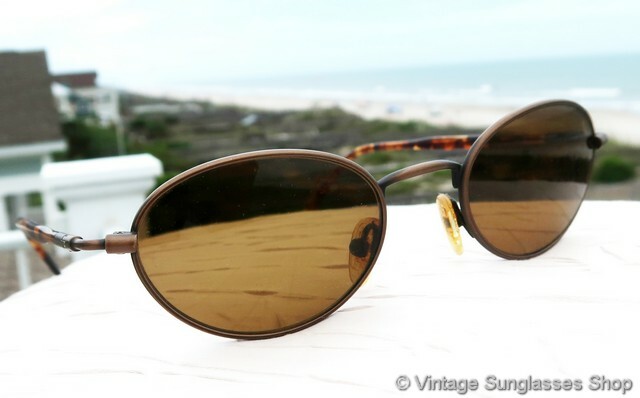 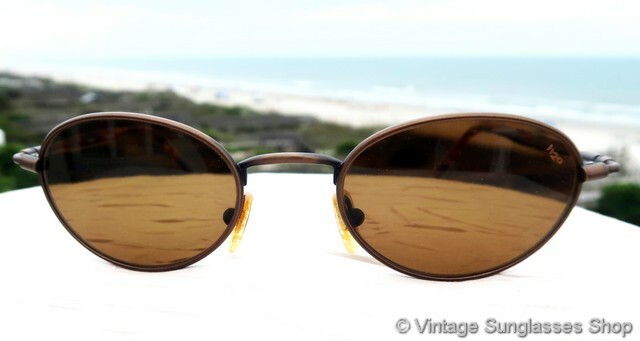 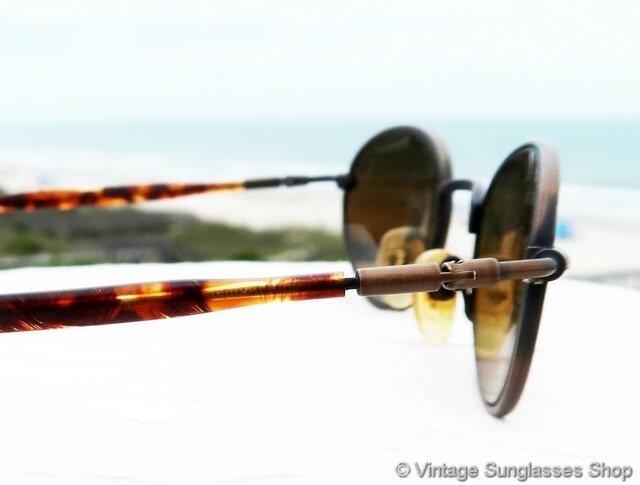 1 Vintage Revo 1121 058 sunglasses are beautiful to look at and super cool to wear, featuring an Italian frame combining antique bronze and tortoise shell that holds Revo's top of the line brown H20 polarized lenses. 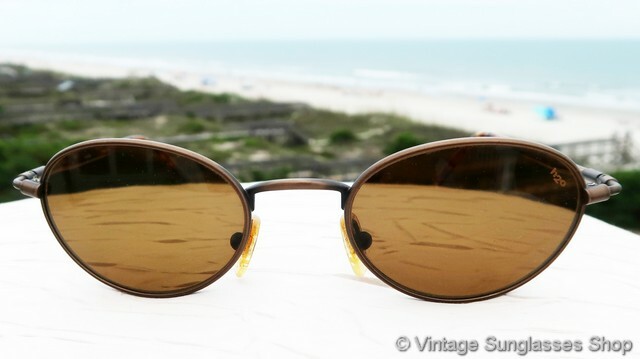 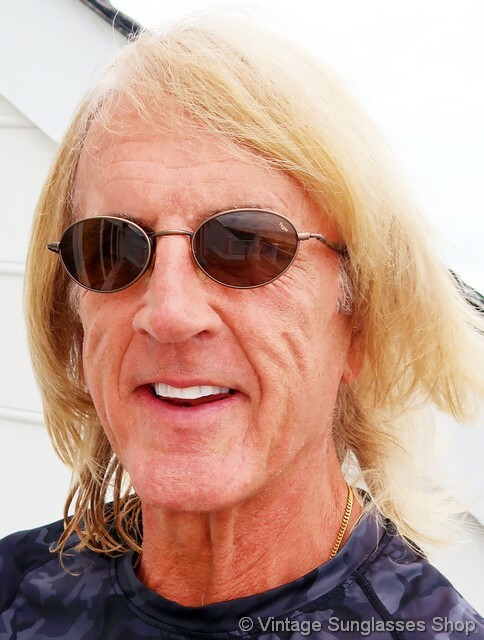 You'll notice that the hinges on Revo 1121 sunglasses are a little more distinctive than many vintage Revo styles from the 1980s and 1990s, with a lighter, thinner profile than the norm. 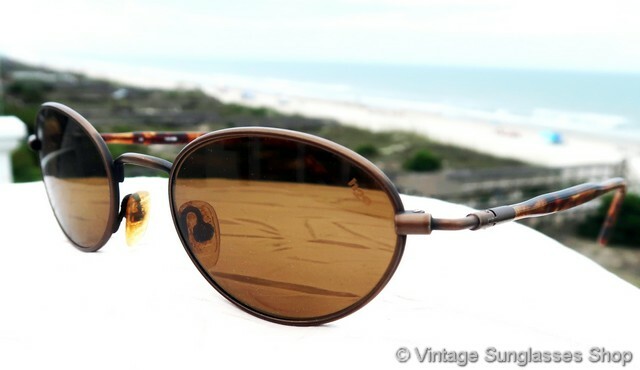 The unisex Revo 1121 frame measuries approximately 5.25" temple to temple, and the Revo brown oval H20 mineral glass lenses measure approximately 1.75" x 1.25" at the widest points with left lens laser etched H20 to indicate Revo's advanced optical polarization. 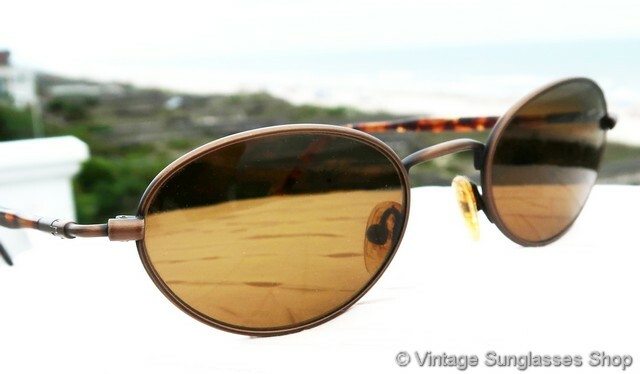 The inside of one ear stem is marked CE 1121 058 Frame Italy, part of a fine collection of vintage Revos in Tucson, Arizona. 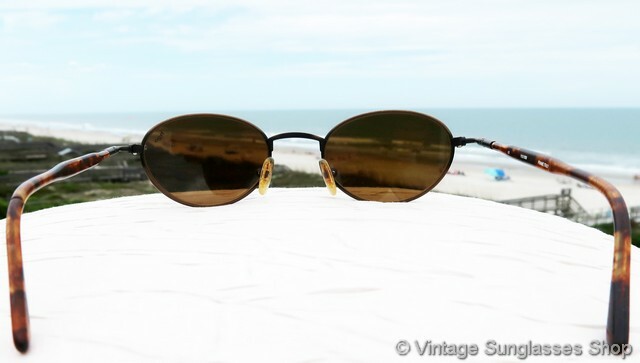 2 Step up another level beyond our already unequaled vintage condition standards with new old stock Revo 1121 058 sunglasses in mint, unworn condition. 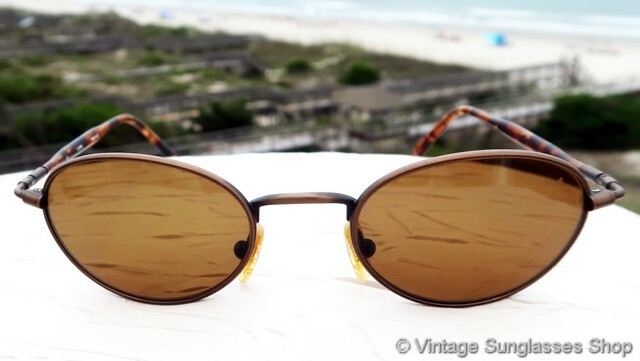 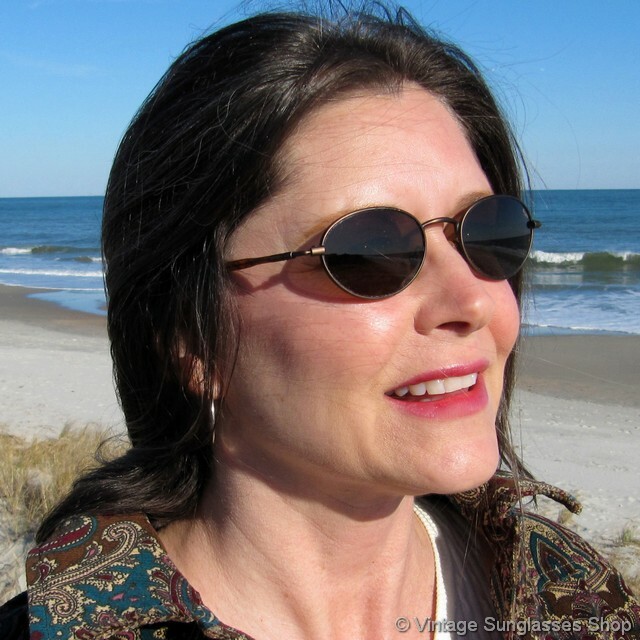 See our entire selection of vintage Revo 1121 sunglasses here, and thanks for visiting and shopping at the Vintage Sunglasses Shop!